As called for in the school’s 2015 strategic plan, FA’s Board of Trustees and leadership staff have carefully updated the Campus Master Plan. 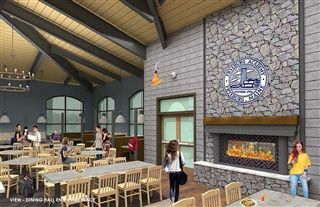 The plan focuses on current and anticipated needs as the school looks to the future, and it seeks to maximize the use of existing buildings where possible. Creating an improved dining experience and student community space are Fryeburg Academy’s highest campus project priorities. 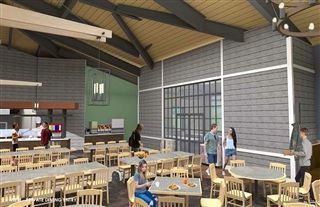 The school has retained Connor Architecture, an award-winning architecture and design firm that specializes in school and university projects, to renovate and expand the existing dining facility and student union, and to construct a new, adjoining dining hall. 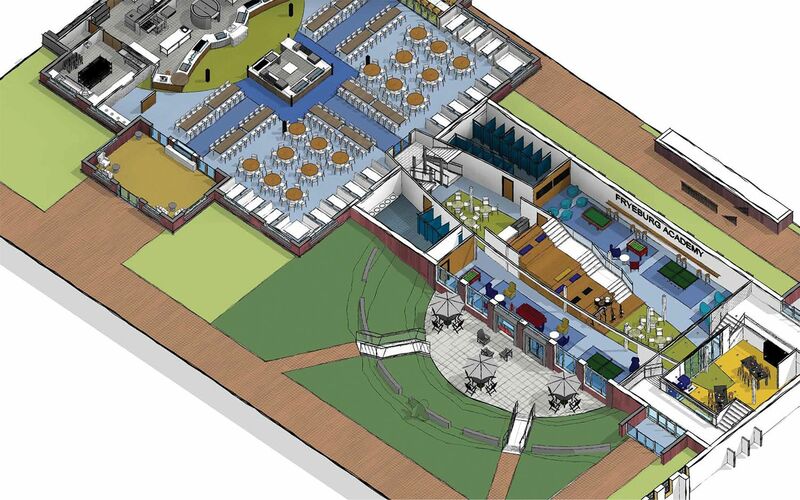 Plans include an increase from 11,600 to 21,600 total square feet in order to achieve the following aims: expanding seating at meals from 180 to 360; diversifying food preparation and serving opportunities; implementing a two-story student union and making it ADA-compliant; and ensuring a level of interior and exterior quality in both buildings that is consistent with that of the performing arts center and the library. Connor’s design plan is exciting. 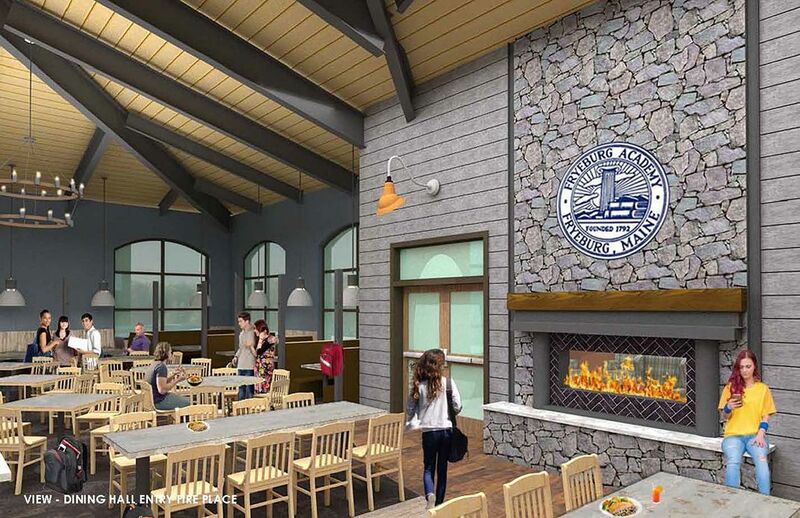 Renderings pictured below, promise paired facilities that will be understood in a brand new and unified way: not merely as a place to eat, but as a student center that integrates other essential purposes and is the vibrant hub of our campus. … create a spacious, healthier daily dining interval and location for FA students, faculty, and staff. 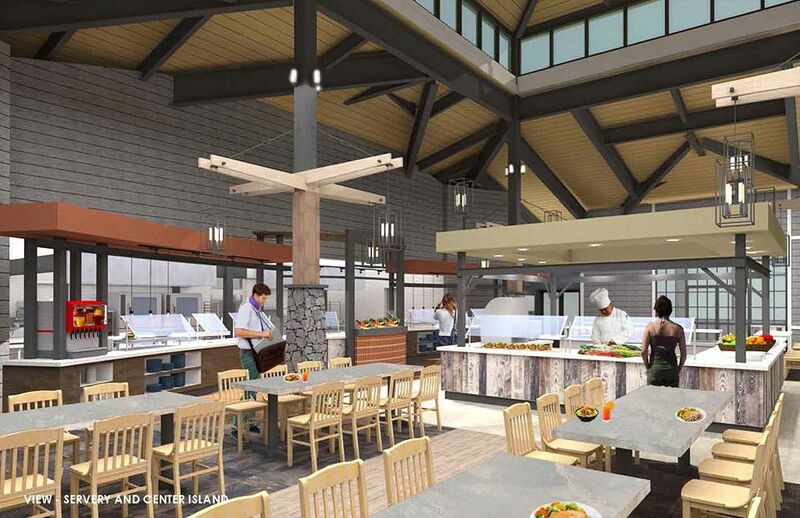 … expand food preparation areas, allowing increased meal options to address individual dietary needs and preferences. … increase opportunities for garden-to-table dining and culinary instruction, with produce from the school garden. 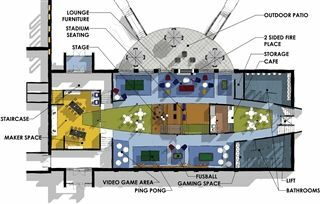 … provide students with a recreational locale that is central, attractive, safe, and designed to encourage socializing, collaboration, and performance. 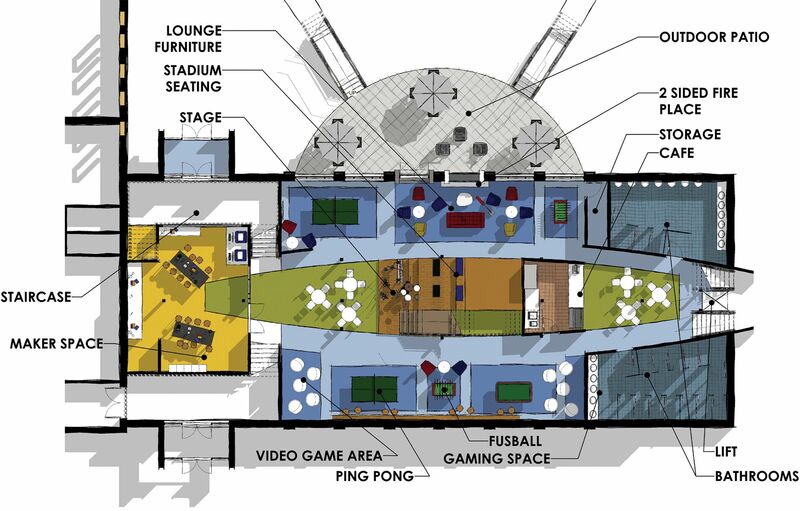 … incorporate new and highly functional spaces for academic and extracurricular programming. … beautify exterior aesthetics and the quadrangle, and improve architectural continuity on campus. Click on the image to view plans. Click on the image to view rendering.